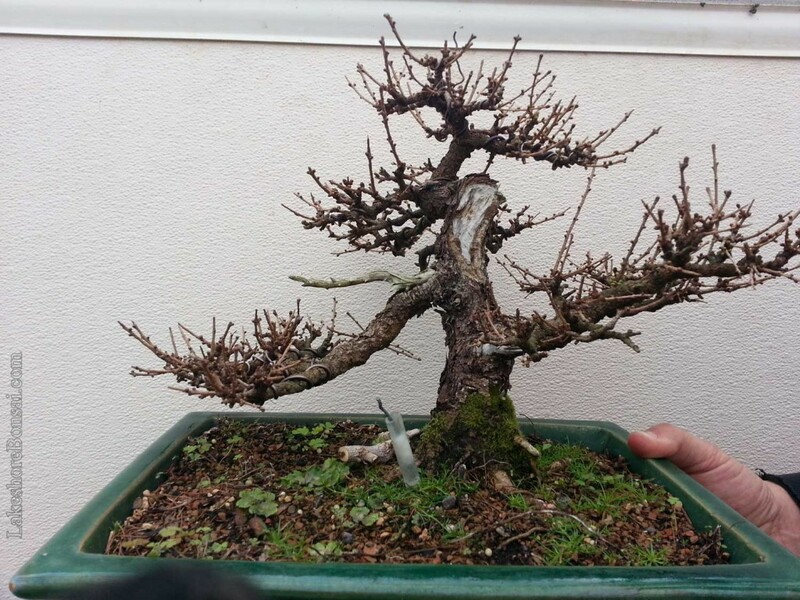 If you follow the traditional guidelines, the best time to wire and repot Larix laricina is when the spring buds are just starting to open. This is usually the most practical time to unwire larches too, because around here it is the only time they are without needles and not frozen in the ground. This “spring buds just starting to open” window can be very short – often just two weeks in mid to late April. Needless to say, if you have a good number of larches like I do, spring gets pretty busy. Add to that repotting a couple dozen more trees, building a new bench set up in my yard, and a couple of collecting trips, and you have an insanely busy last few weeks. Here is one larch that I recently worked on. This tree changed hands a couple times in the last few years, and I snatched it up almost exactly one year ago as soon as I had the opportunity. 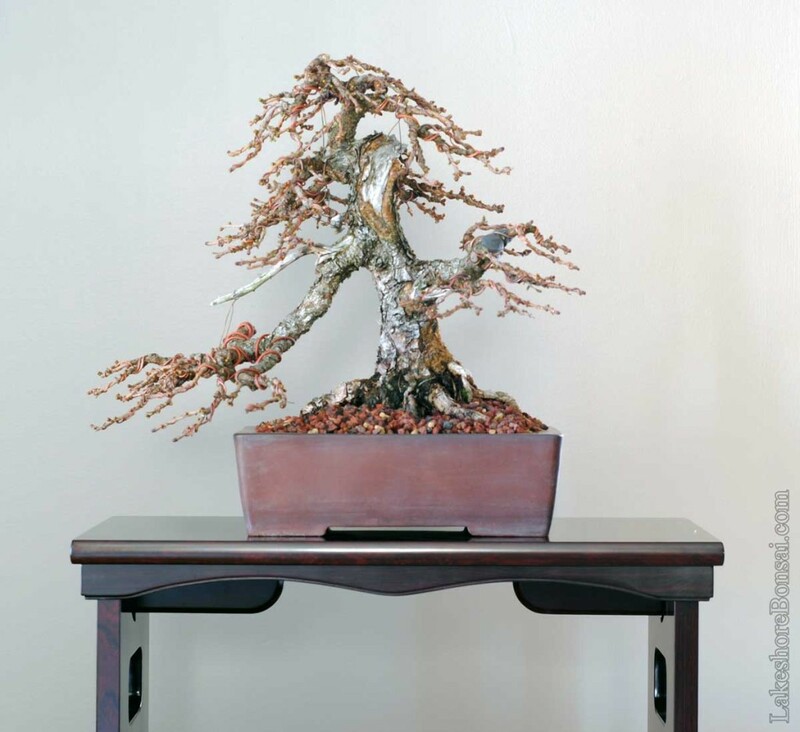 I was collected about 20 years ago yet has spent most of that time in bonsai limbo, without a coherent design. Most of the finer tertiary branches used to create this structure were grown last year.The tree was also gently repotted into a simple Yamaaki container that suits the semi-cascade style pretty well. After a few more years of ramification development, this will be a killer chuhin sized larch, and I am proud to be its new caretaker. Larixi laricina, approximately 25 cm from soil line. April 18 2015. This entry was posted on May 3, 2015. It was filed under Larch, Larix laricina, Styling, Yamadori and was tagged with Bonsai, Canada, larch, Larix, tamarack, Toronto, yamadori.